Dean A. Alper specializes in subrogation recovery, business litigation and insurance defense litigation. Mr. Alper graduated from the University of California at Santa Cruz in 1977, and received his law degree from the University of California, Hastings College of the Law in 1984, where he was Substantive Editor of Constitutional Law Quarterly. Mr. Alper serves on settlement panels for The San Francisco and Marin County Superior Courts. 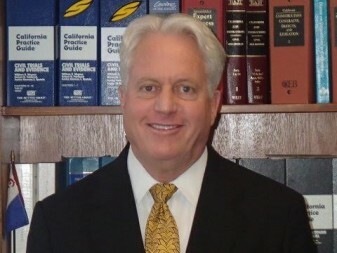 He is a trained mediator and serves as an early neutral evaluator and mediator for the United States District Court and arbitrator for the San Francisco Superior Court. Mr. Alper formerly practiced with large firms in Los Angeles and San Francisco. Mr. Alper was named a Super Lawyer by Law & Politics and San Francisco Magazine in 2005, 2006, 2008, 2009, 2010, 2011, 2012, 2013 and 2014. He is a-v rated by the Martindale Hubbell Law Directory and is recognized as a Preeminent Attorney. Dean Alper pro-actively mediates cases in state and federal courts. His thirty years of civil litigation experience help him identify sticking points that impede settlement. © Copyright 2014 Alper & McCulloch.